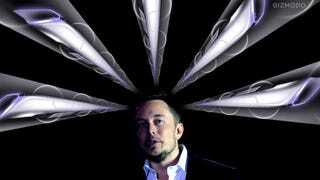 Elon Musk tweeted that he'll be building a 5-mile Hyperloop test track probably in Texas. Say whaaaaat?! Looks like the designers and engineers he entrusted his 57-page white sheet to are taking too damn long. The Texas possibility is also pretty certain since Musk made the announcement while visiting The Lone Star state. The Hyperloop concept is one of the most ambitious transportation ideas of the 21st century, a powerful pneumatic train that could take you from point A to point B way faster than any modern bullet train. What is so exciting about that idea is it could actually work. Only one problem, who is going to build it? Some startups have taken heart to Musk's "so crazy it just might work" plan, and even Musk said after revealing the plan in 2013 that he would be tempted to build a small demo himself. It looks like he's giving into that temptation.